Renault have long been known for very distinctive designs for their motor vehicles. Even as far back as the Renault 10 there was no way that you could mistake it for anything else. So I guess that we shouldn’t be surprised that what Renault labels as an ‘estate’ may not actually look much like a traditional station wagon … what most people think of when they hear a manufacturer describe one of their vehicles as an ‘estate’. 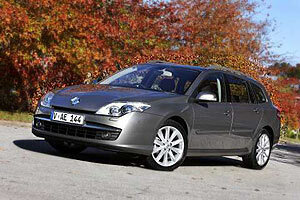 The Renault Laguna Estate certainly doesn’t have the boxy shape that one normally associates with an estate or a station wagon. 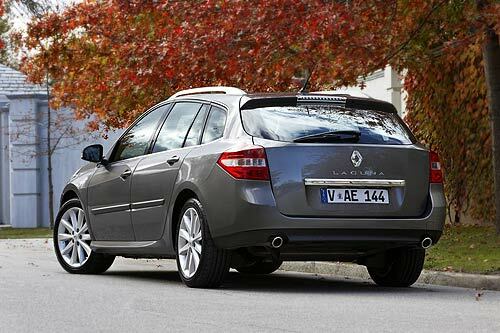 Instead the Laguna’s steeply sloped rear window gives this estate more of a sports car look although, at 4.8 metres in length, the Renault Laguna is definitely not a sports car. Although the Laguna Estate rides on exactly the same chassis as the Laguna sedan the rear overhang gives the Laguna Estate a 501 litre luggage area with the rear seats in the raised position and 1,593 litres of space with the rear seats folded down. 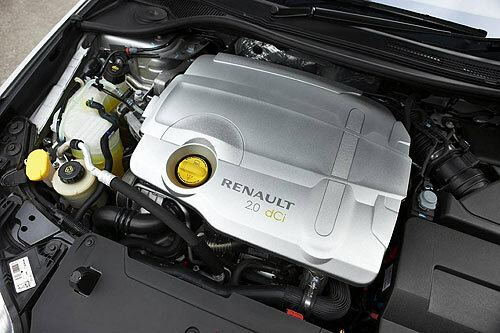 The Renault Laguna Estate comes with your choice of a 2.0-litre diesel engine or 2.0-litre turb-charged petrol engine but if you want torque and economy you’ll pass on the petrol engine. The diesel engine is matched to a six-speed automatic gearbox and it’s a combination that returns 7.0L/100km and 185g CO2/km and it complies with Euro V pollutant thresholds. Maximum torque of 340Nm is produced at 2,000 rpm and maximum power of 110kW arrives at 4,000 rpm. Even if you’re not into being environmentally friendly you will still find that the diesel engine saves you more for the best consumption figures that the petrol engine can produce is 8.9L/100km along with 210g CO2/km. Maximum torque of 270Nm for the petrol engine cuts in at 3,250rpm and maximum power of 125kW arrives at 5,000 rpm. Remember, this is a Renault so it’s going to be a little different and the positioning of the driver’s controls is no exception. 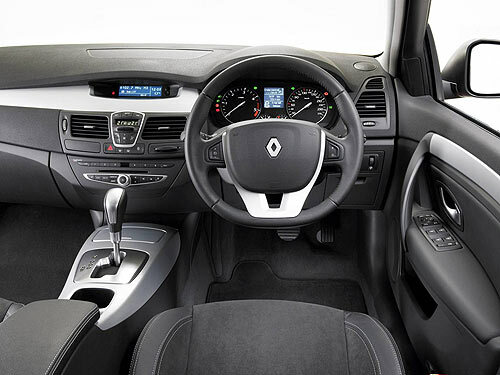 While most manufacturers put the cruise controls somewhere close to the steering wheel don’t look for them there on the Renault Laguna Estate … instead when you want the cruise control look down on the central console. The air conditioning system is designed to meet each occupants needs and it also comes with filters that will keep out unwanted fumes and pollens. When the system detects fumes or pollens it automatically closes the outside intake-vents and changes to recycled air from within the cabin. 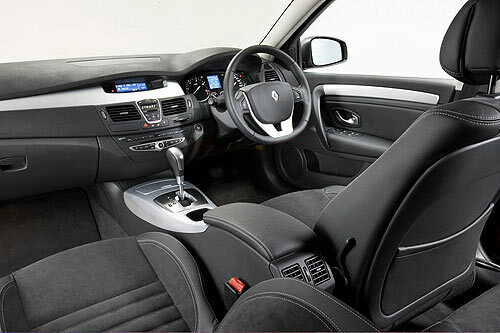 Active safety features such as ESP, ABS and EBA are fitted across the range and a tyre pressure warning system is standard on the top of the range Renault Laguna Estate. The Laguna Estate also comes with a new sensor system that enables the side airbags to be deployed in half the time taken by previous systems. For a drive-away price you’ll need to contact your local dealer.